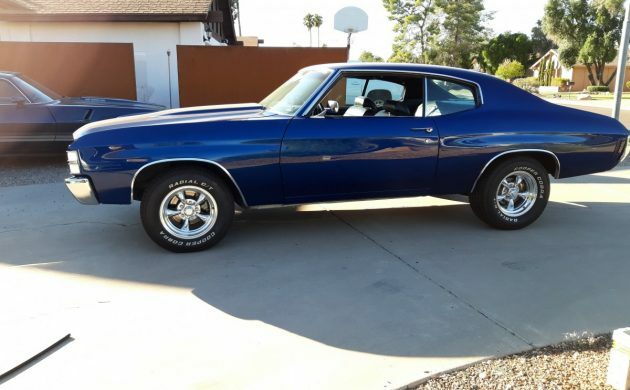 This 1971 Malibu is a car that just catches your eye the moment that you look at it. It presents well and has a menacing stance about it. 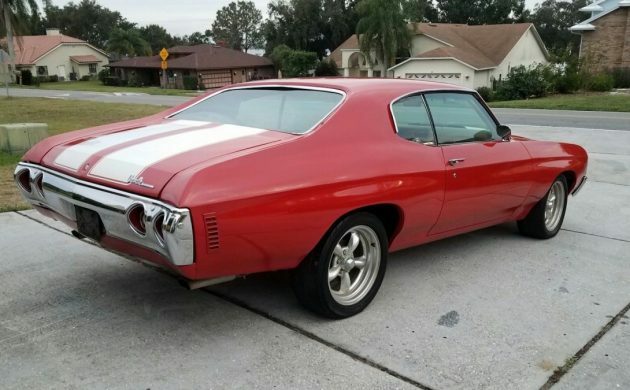 It has a clear title, and if you would like to have it sitting in your garage, then you will find it sitting in Polk City, Florida. You will find it listed for sale here on eBay, where the seller provides a pretty decent catalog of photos. I have to say thank you to Barn Finder Jordan for referring this car to us. Someone once said that presentation is everything, and this car has it in spades. The shots of the underside show a really solid car, and there are no obvious issues with the panels or paint either. That Cranberry Red paint looks virtually flawless, and the panels also appear to be as straight as an arrow. The only thing that I can honestly say that I don’t like is the wheels. It’s not that I don’t like the style of them, but the photos seem to indicate that their condition is not on par with the rest of the exterior. The presentation of the interior is also pretty nice, with only a couple of things to think about. The car is fitted with an aftermarket CD player, but this currently isn’t connected. Given the fact that the dash would have to have been cut to fit it, I think that I’d leave it there. The kick panels are also missing from both front foot-wells, so replacements would either need to be bought or made. While the armrests appear to be missing off both doors, the owner does have them but hasn’t managed to install them at this stage. While we can’t see it, the owner does say that the car will need a new headliner. He also says that both the heater and air conditioning will need servicing, and while the car is fitted with an aftermarket steering wheel, the original does come with the car. 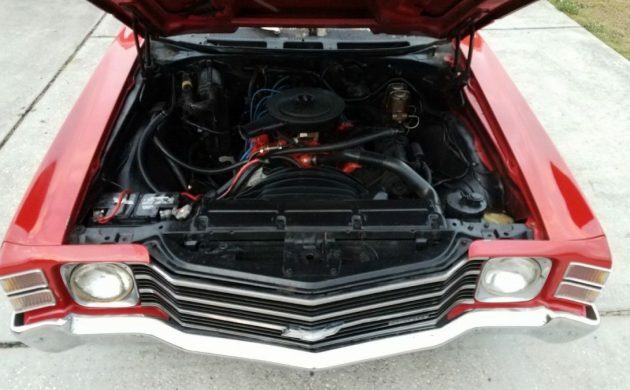 The numbers matching 350ci V8 and 3-speed automatic transmission still grace the car, and the owner says that the car starts, runs, and drives perfectly. The car has also been treated to some work on its running gear, with a new master cylinder and brakes, new shocks, and a new exhaust. Also included with the car are three large boxes of parts, including one box of sundry brand new parts. This is all sounding quite promising. 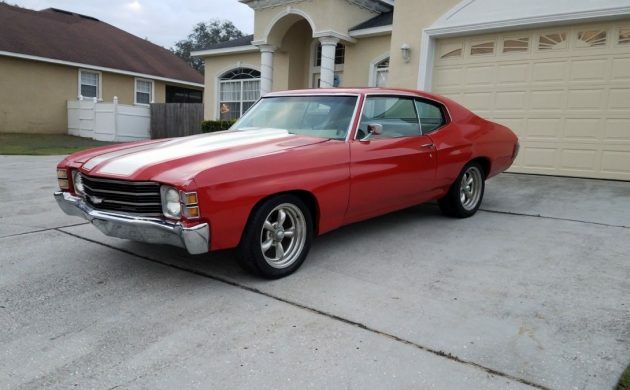 This is an attractive looking car that appears to be in really nice condition. When I first saw it, it was the overall condition that caught my eye, coupled to the fact that it seems to be so solid. Yes, it needs a few things finished, but what is left is only minor, and the end result will be a pretty special car. Then I saw that the owner has set a BIN price of $14,500. To me, that seems like a pretty good buy. Man.. hard to find a car that Torq Thurst II’s don’t compliment.. this is no exception. Looks great. Wheels just need thicker tires, this will go fast at this price. I see shells going for 10 to 12k. 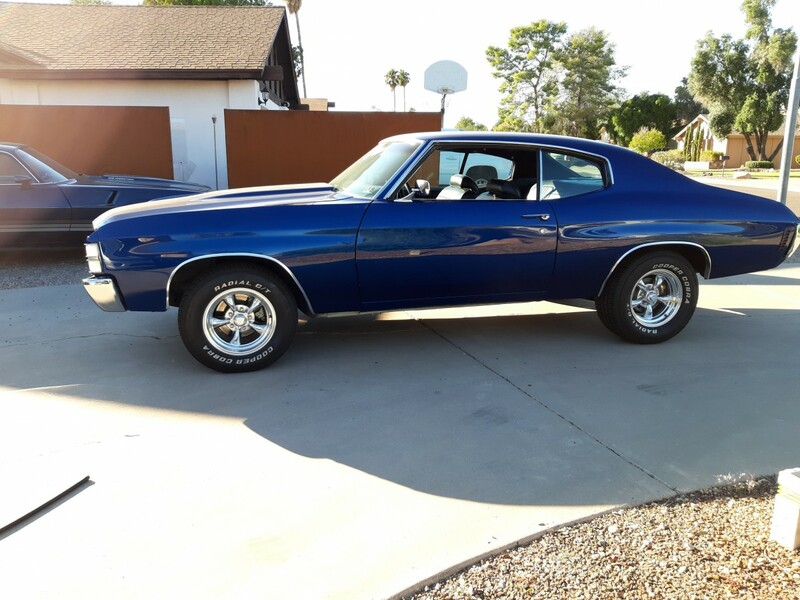 Agreed,15k for a Chevelle this nice is not going to last long.Such a deal compared to that gold one.Still take the Nova though. Looks pretty good to me. Looks to be a ‘Buy and Drive’ to me. Drive it while finishing it off. Nice looking ride. Surprised it hasn’t been turned into a SS clone. BTW, shouldn’t the bowtie on the grill be in the middle instead of towards the bottom? Looks odd to me. Nice clean car . A/C car too. 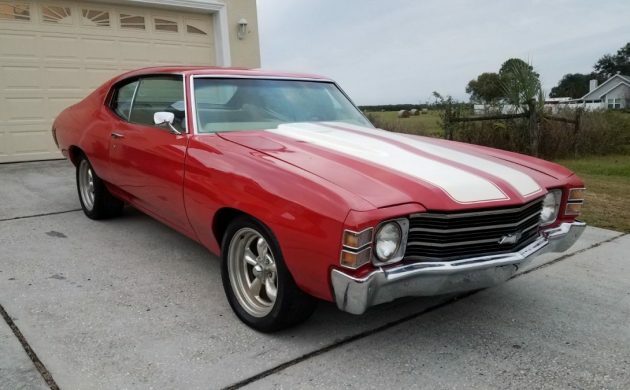 It has a 1972 grille in it because I have a 1971 Chevelle since 1988. And yes to the previous comment by crager78 the bowtie should be in the middle of the grille. Clean looking but I hate red anything, sorry. It looks like double batteries, that seems odd. Not a fan of white interiors either. 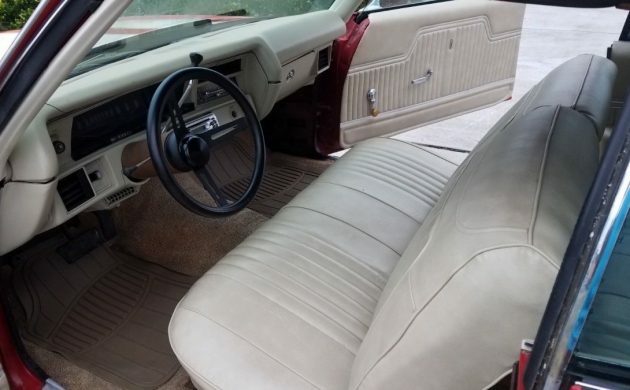 The odd part of that is everytime I have ever seen white seats it always had a black dash, never have seen a white dash before. Looks like a reasonable deal though, pending inspection.